The Titan Company is planning to set up a spectacle lens manufacturing facility in the northern or eastern part of the country in the next financial year. 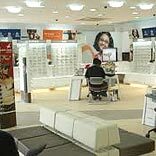 In addition, senior officials highlighted that they plan to expand the retail network of Titan Eye Plus by setting up more than 50 stores in the next fiscal and they would largely be on a franchise basis. Kant also highlighted that the company will also open more than 50 Titan Eye Plus stores, majority of them in the franchise format, in 2014-15.